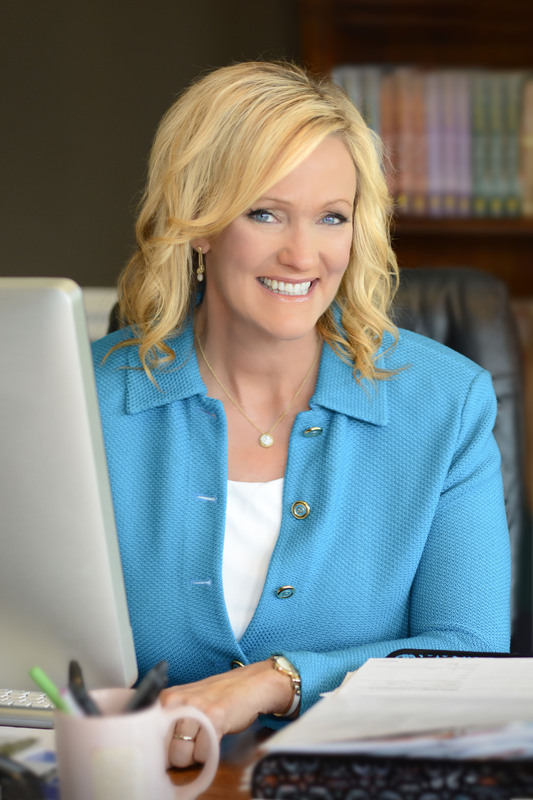 From the #1 New York Times bestselling author Karen Kingsbury, known for her “signature mix of melodrama, formula, and genuine emotional punch” (Publishers Weekly), a dramatic story about character, compromise, and the cost of having it all. 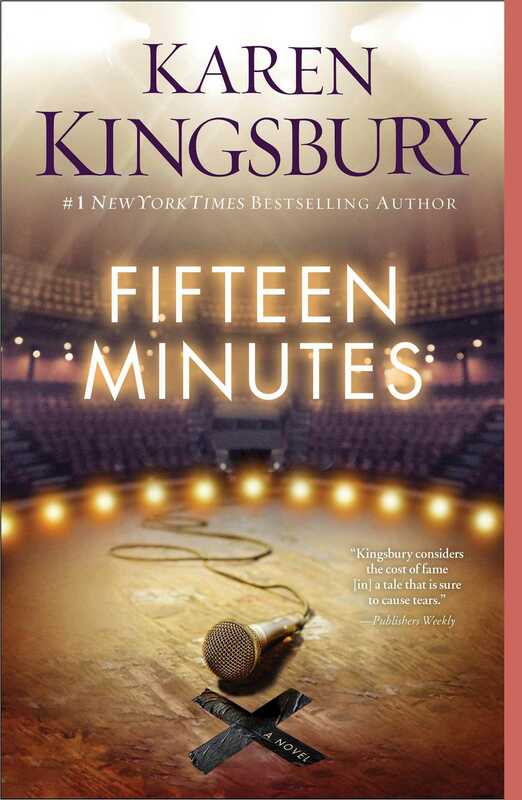 From America’s favorite inspirational novelist, Fifteen Minutes explores the cost of fame and celebrity set against the backdrop of America’s favorite singing competition. Zack Dylan held a steaming mug of black coffee in one hand and his Bible in the other. He stood on the wraparound wooden porch of his parents’ farmhouse and watched a pair of Arabian horses run through the Kentucky bluegrass. The hundred-acre horse farm had been in the family for six generations. He breathed deep the sweet July air and set his things down on the old wooden table. Four metal-back chairs made up the seating. Zack took the one with a view of the horses. This had been his routine lately. Taking his coffee out here and reading his Bible. He loved Jesus more than his next breath. He could feel Him close as skin. But these days he needed all the wisdom he could get. His girlfriend, Reese Weatherly, would be here in half an hour. Their last chance to hang out before he left for Atlanta. The Arabians stopped as if they could sense something changing, something big about to happen. Then like the wind they took off again, flying through the grass, a song in motion. Zack leaned his forearms on the old table and watched them run. His great-great-grandfather had raised thoroughbreds and in 1934 the Dylans’ horse farm had produced the winner of the Kentucky Derby. A sketch of the champion with a bouquet of roses formed the farm’s logo. A farm doomed to foreclosure if something didn’t change. Zack let the history hit him again. Sometime in the 1950s the family stopped raising costly thoroughbreds and switched to Arabians. Now dressage riders boarded their horses here and rented time in one of the three arenas. Faith, family, and Southern horse farming. Danville, Kentucky, born and bred. The problem wasn’t the business. It was the tornado that had come through and damaged the barns and stables in January. The damage didn’t touch the house, but the insurance didn’t cover the barns and stables. Liability, yes. Storm damage, no. The operation was too tight to justify that sort of insurance. Especially when six years ago a different tornado had done similar damage. Back then the family’s insurance had been comprehensive. After the claim, covering the outbuildings against storms wasn’t possible. From the moment the storm passed, Zack and Duke, his fifteen-year-old brother, had worked alongside their dad to fix the damage. They needed additional lumber to replace the roofs on the outbuildings. Tens of thousands of dollars in supplies. Without that, the buildings had stayed in disrepair and most people had moved their horses to other facilities. The Dylans spent more money than they made and the tension around the kitchen table grew every day. On top of that Zack’s sister, AJ, had been sick. She had Down syndrome and juvenile arthritis, an especially severe kind. A host of other complications had left doctors convinced she wouldn’t live another ten years. Zack exhaled, feeling the weight of his family’s troubles. Regardless of the broken buildings and dwindling bank accounts, this was his family’s horse farm. Sure Zack had other dreams, songwriting, even singing. Those were tangents, really. Hobbies. More than anything he wanted to see the farm up and running, wanted to bring in new Arabians and even Derby contenders. Put the Dylan Champion Horse Farm on the map once more. Horse farming was supposed to be his and Duke’s legacy. The fabric of their past, the lure of their future. “Sir.” He pushed his chair back and stood. “Like a painting.” Zack waited. The porch boards protested with each step. His grandpa reached him and put a shaky hand on his shoulder. The old man had lived in the guest house out by the largest arena before the tornado hit. Now he stayed in the guest room on the main floor. He spent most of his time here, on the porch overlooking the farm, staring out at images from decades gone by. “I am. Yes, sir.” Zack leaned closer, took his grandfather’s black cane and rested it against the porch railing. He sat back down. Neither of them said anything for a while, the morning breeze warm and easy between them. “Me, too.” Zack studied his grandfather. Stoic, strong. A throwback from another era. Complaining wasn’t an option. He could be drawing his last breath and he’d be more concerned with those around him. “Yes, sir.” Zack had expected this. Dreaded it. “I do. Daddy told me.” Zack took a swig of coffee. His father’s words rang in his heart constantly this past week. I believe in you, son. No harm in trying out. But you know your grandfather. Dylan men don’t chase fame . . . they tend the farm and keep up tradition. They get a second job and buy the wood and fix the buildings. They find a way. Zack forced his dad’s words from his mind. He respected his father, but still he was going to Atlanta. He couldn’t be afraid of success. The idea was ridiculous. He sipped his drink more slowly. “Not me.” Zack folded his hands on the table and studied his grandfather’s eyes. “You know me, Grandpa. If I make it . . . I won’t get lost. Not ever. God loves me too much for that.” Nothing stood more certain in Zack’s mind. He watched the Arabians flying across the Kentucky grass. Why was his grandpa so worried? He would go with God’s blessing, sing for His glory, and one audition to the next he would walk only through the doors that the Lord Himself opened. If singing on Fifteen Minutes got in the way of him and God, he’d pray to be sent home. Zack didn’t argue. He respected his grandfather’s opinion but nothing would change his mind. He had prayed for God’s will and he was going to Atlanta. Besides, was he supposed to go his whole life untested? What good was his faith if it couldn’t see him through whatever lay ahead? Zack thought about the hours he’d prayed, the conversations he’d had with Reese and his parents. The people who had heard the EP he made last year and told him he should get a manager or move to Nashville. He was the next Keith Urban, everyone said so. Year after year he had resisted the desire to audition. Now he could almost hear the clock ticking, almost feel his chances slipping away. Here when his family was facing financial ruin, it was as if God Himself were telling him to go for it. “Yes, sir.” Zack put his hand over Grandpa’s. “Thank you.” His family was worried over nothing. No matter what happened, Zack wasn’t going to change. He had his faith, the promise that God was with him. Jesus was his helper; what could man do to him? That was right out of the Bible, after all. “Yes.” Zack and Reese’s journey was intertwined in a love story that came with the most beautiful history, as if all their lives had led to the single moment in time when their eyes first met. Zack wouldn’t do anything to hurt what he and Reese shared. “I’ll pray.” In a move that told Zack the depths of his concerns, his grandpa rested his head against Zack’s. Reese walked up the porch steps slowly, her eyes on the two of them. Zack remained where he was, his arm still around his grandpa. “I’ll be fine.” He gave the man his black cane and helped him up. They walked together back to the house. “I count on that.” She smiled at him, her eyes shining. The two of them hugged and Zack’s grandpa looked from Reese to Zack. His eyes said what his words did not as he nodded, turned, and headed back in the house. When the door shut behind him, Zack turned and faced Reese, looked deep into her pale blue eyes. If for some reason he became crazy successful on Fifteen Minutes, that would be fine. God’s will. Because nothing—absolutely nothing—would ever get in the way of what he had here. The farm, his family. And the girl standing in front of him. The one he loved with all his life. ZACK TOOK THE spot next to her, the two of them leaning on the porch rail. Her eyes shone with a trust he didn’t take for granted. But something was different. As if already she were protecting herself from the imagined storms ahead. “Sick.” Zack eased his fingers between hers. The closeness of her, the touch of her skin against his, the familiarity of it—the sensation was always special. Today he felt more aware of her, the gift of her in his life. Of course he did. He was leaving tomorrow. He stopped when they were out of sight from the front windows. “We miss her at the center.” Reese was an equine therapist. For the last three years AJ had been one of her students. “Why are you nervous?” He searched her eyes. “How do you know? You’ve never done anything like this.” She smiled. “And you will make it through. You’re the best.” The sweetness of her tone told him more than her words could. No one believed in him more. She started to explain. Something about the woman knowing Reese’s boss here in Kentucky, and how Reese came highly recommended, one of the best therapeutic horse instructors in the South. And how the London stable wanted someone with experience, someone from Kentucky with a history of horse sense. Her sentences ran together and Zack found himself stuck back at the beginning. They’d been dating since their freshmen year at University of Kentucky. Zack had been an animal science major and Reese competed on the Wildcats dressage team. Double major—special education and equine therapy. Only one thing in all the world was more beautiful than seeing Reese ride. Seeing her help special-needs kids find their way on a horse. Kids like his sister AJ. Zack used to tease her that if he could ever get her off the back of a horse, he’d marry her. Four years had flown by, and a month ago they graduated. Zack had never loved her more. Their beautiful history—the history they didn’t realize until after they started dating—the way she made him laugh, the very deep beauty of her heart. Her love for special-needs kids and horses and him. They hadn’t talked about an exact date. But he’d figured that if the farm were solid again by Christmas, he’d buy her a ring. This was the year he’d been waiting for. “No?” Gradually the shine returned to her eyes. “No.” He could breathe again. They had found their way back to normal. He eased his hands from hers and gently framed her face. Then he kissed her the way he’d wanted to since she arrived. “This is your dream, remember?” His voice fell a notch. “Is that right?” The corners of her lips lifted and she rested her head on his chest, the two of them swaying in the warm summer morning air. Zack listened, loving her heart, the way she cared for her students. They checked the one small stable that hadn’t been destroyed in the storm and walked back to her car. The show didn’t come up until he took her in his arms again. “Reese . . .” He raked his fingers through his thick dark hair. They’d been over this. He didn’t respond. Couldn’t say anything in light of her heartfelt reminder. Whether he liked it or not, she was right. If he went far, if he won, there might be no way back to the life they shared here. Now. “Okay.” She tilted her head, like she couldn’t say exactly what she was feeling. She took a few steps back, her eyes still lost in his. But then she turned around, climbed into her car and drove off. He watched her go. She was worried over nothing. If his parents were about to lose the farm that had been in the family for over a hundred years, then he needed to find a way to make money. Other than working with horses, singing was all he knew. That and the saving power and love of Jesus Christ. God would see him through wherever the ride took him. Of course he had to audition, had to pray for a chance. If by some miracle he made it, he would have a platform to share his faith and the money to pay off the farm. Then he would marry Reese—the way they’d planned all along—and Grandpa Dan could die happy. As he walked up the stairs to the old farmhouse peace spread from deep inside him. Whatever happened next he would be home soon. Reese would stay in Kentucky and they’d be engaged by Christmas. He was sure. Before he turned in that night he found his guitar and played her song, the one he’d written for her. He called it “Her Blue Eyes” and the verses talked about a girl who saw beauty in the life of a handicapped child and joy behind the counter of a homeless shelter. As he fell asleep, the chorus stayed with him. There in her blue eyes. Lost in her blue eyes. excellent tale of desire and faith, digging beneath the surface of her plot to fuel an emotionally driven story set within the exciting world of reality TV." "Kingsbury has produced a new riveting page-turner of relatable characters and situations and the best ways to hang on to our faith in a world that no longer sees its value." "Christian novelist Kingsbury offers a faith-based look at an American Idol–style show and the inherent spiritual risks placed upon the contestants."